If you read my last blog post, I shared a behind-the-scenes look into Charlotte Stone and Pacific Wonderland Inc. in anticipation of Findings Market's Holiday Event on November 11! Unfortunately, I was feeling under the weather that day, so I didn't get to spend as much time as I would've liked, but I still wanted to share my experience with those of you who couldn't make it. It was a beautifully curated event, thanks to Whitney, the event organizer, who has an amazing eye for detail and a big heart devoted to seeing local artisans succeed. It was the first time I had met her in person, and I was astounded to find out that she managed to coordinate the entire event herself alongside The Guilded Table! When I first arrived, I was greeted by a gorgeously built entrance piece designed by Idlewild Floral and Nordic Wood Craft (pictured below) and immediately was drawn into the energy of the event, swirling from the continuous flow of foot traffic and the steady buzz of conversation and background music. With the soft, warm glow of the afternoon sun, I felt like a little kid again, only seeing opportunity and inspiration as I wandered from table to table and marveled at each artisan's goods. It reminded me of the saying that "the creative adult is the child who survived," because each brand's presentation felt like a special invitation to peek into the creative soul and mind of each artisan. Of course, I was super excited to see Steve and Charlotte again in-person, who introduced me to Miwak Junior and Awesome Cameras. 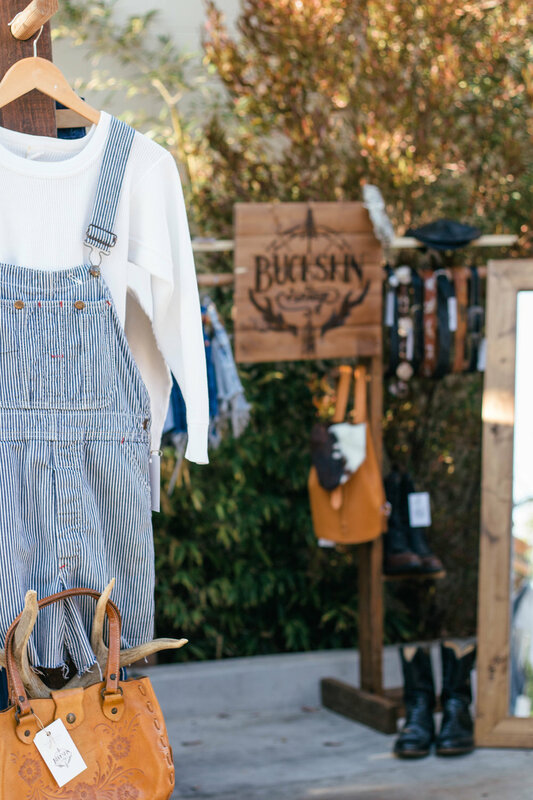 There was definitely something to enjoy for everyone, from locally made apparel and accessories, to vintage cameras and succulent arrangements. I also got to enjoy some live music inside thanks to The Brambles, and had a variety of food and/or drink options thanks to Topa Topa, Lama Dog, and Fox Wines. For some highlights of the event, scroll down to check out a quick video I made, along with some photos during my visit. Hope you enjoy! If you couldn't make it to the Holiday Event, I highly recommend visiting the Guilded Table for Findings Market's Holiday Shop featuring many of the same brands that made an appearance at the event! Head here for more information. "A deep-rooted connection to vintage clothing. Inspired by many things mainly from nature, Native American culture, and history." "Retro prints on comfy, transitional swimwear and activewear, to take you from the mountains to the sea to the yoga mat to the town." Sustainably designed in Santa Barbara. Ethically made in CA.